From 2010, Indonesian experimental band Senyawa's gone places and confounded foreign audiences. 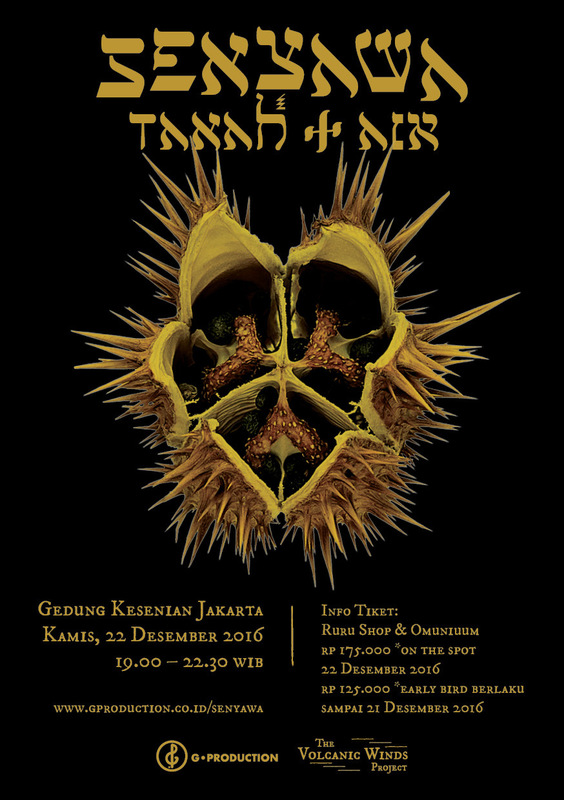 But on December 22, they're set to play a homecoming concert at the Gedung Kesenian Jakarta, Central Jakarta — their first in years. Dubbed "Senyawa Tanah Air," (which translates to Senyawa Homeland), promoter G Production will handle the concert that will cost IDR 125,000 (for early bird tickets, until December 21) to IDR 175,000 (on the spot tickets). Consisting of virtuoso singer/sound maker Rully Shabara and multi-instrumentalist Wukir Suryadi, Senyawa's been trafficking in the ominous and the visceral possibilities of music. Or noise, if you're feeling cheeky. They've put out three LPs, an EP and several collaborative LPs. I've been writing about Senyawa for quite some time now and now I'm running out of synonyms for 'menacing' but that word is the best bet for you, I promise.